The Queen of Sparks in Los Angeles. 2013 People’s Choice Awards coming up! Here at the Swift Agency, just a guy who’s anxious to see the Sparkly Dressed on TV, we’re happy to see this picture of the Enchantress in Brentwood, a district in western Los Angeles on Tuesday (December 8, 2013). I’m hoping she’s not just tied together with a smile but I know Tay is stronger than a lot of people give her credit for. I prefer to avoid the rumor mill so I’m not going to address any tabloid stuff. You can see more pictures, albeit with some gossip, at Celebrity Gossip. The official Taylor Nation twitter also confirmed the Sparkly Dressed will be attending the People’s Choice Awards 2013 today Wednesday, January 9 at 9/8c on CBS. She’s not scheduled to perform… so far at least. She has three nominations: Favorite Female Artist, Favorite Country Artist and Favorite Song for We Are Never Ever Getting Back Together. 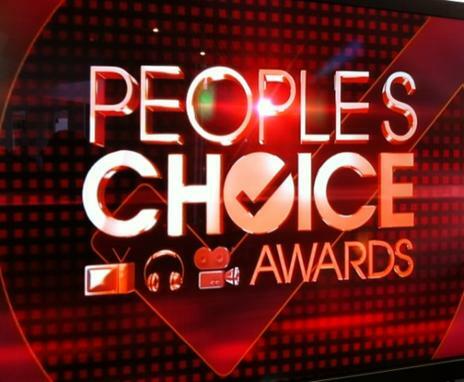 January 9: The People’s Choice Awards 2013 at 9/8c on CBS. Taylor has three nominations: Favorite Female Artist, Favorite Country Artist and Favorite Song for We Are Never Ever Getting Back Together. she’s also attending the golden globes, you can find that on Jencita,s twitter too, but I don’t know if it’s an official source. She’s not official, but she is trusted 🙂 I believe it was @belleswift17 who got that from Marc Malkin, who is an official source. Aww, it’s pity you removed the snow, it was so nice! Previous Previous post: The Moment I Knew: Tay’s single featuring Elizabeth Huett! T-Swizzle will attend the PCAs! Next Next post: The Princess in Red will perform at the 55th Grammy Awards!